I say Parker House rolls, 10 bucks you say Sister Schubert’s. 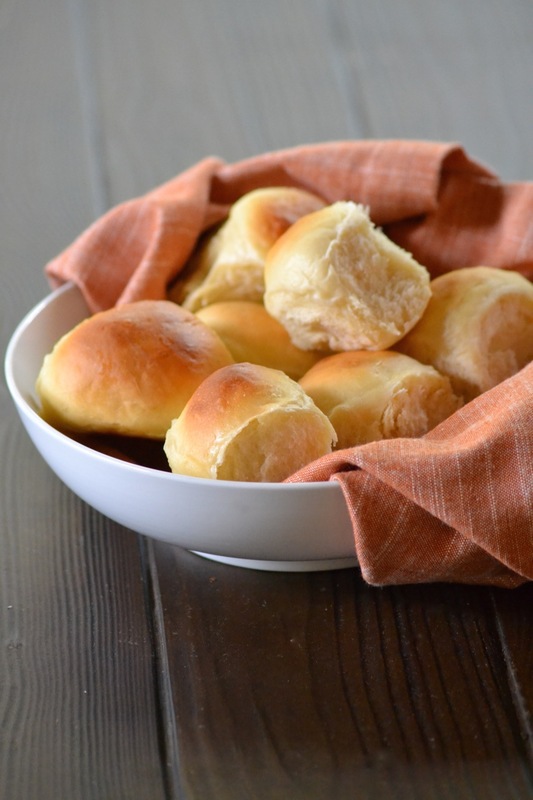 Of all the recipes I’m sharing as part of #mincedthanksgiving, I admit that asking you to make your own yeast rolls for Thanksgiving dinner is a big stretch. But bear with me. I’m posting this recipe today for a reason. By no means should you make homemade bread on Thanksgiving day. No matter how simple you plan to keep your feast there will be a lot going on and making your own bread in the midst of that chaos is a recipe for stress and anxiety. 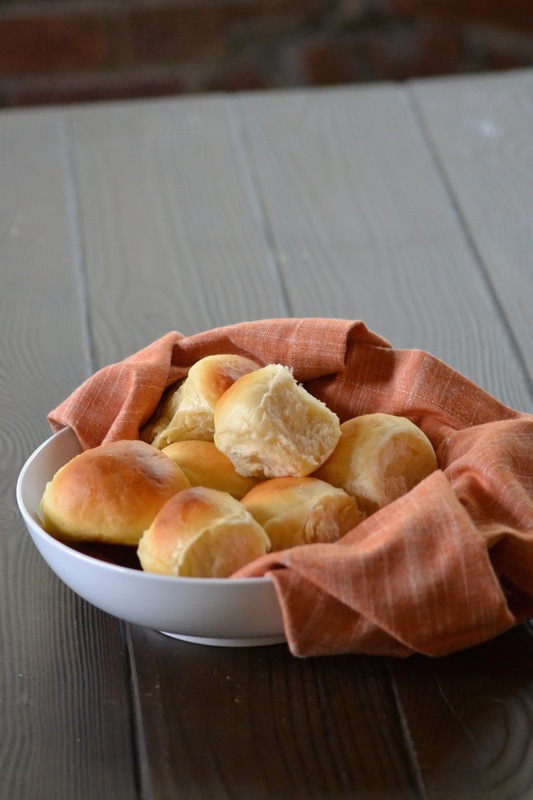 Fortunately these rolls, once baked, freeze beautifully, which means that either this weekend or next weekend, when your football team is on TV, you can make and bake these rolls at your leisure. Once baked, simply let the rolls cool and then wrap them in foil before placing them in a sealable bag in the freezer. When ready to serve, you simply remove the rolls from the bag and bake them, wrapped in foil, at 350 degrees for about 15 minutes or until warm. 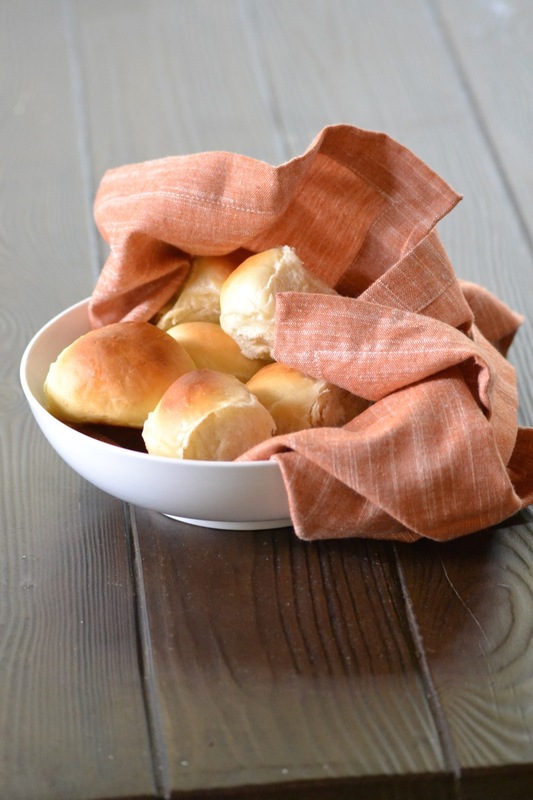 After that it’s simply a matter of informing everyone at your table that these are homemade rolls made by YOU so that they can compliment, fawn, and praise appropriately. Happy baking! Parker House rolls were first made at the Boston hotel known as the Parker House in the 19th century. They’ve been popular ever since. Irresistible when pulled straight from the oven, they also freeze beautifully for later enjoyment. Bring the milk to a simmer in a small saucepan. Remove from the heat and stir in the stick of butter and the sugar. Set aside while the mixture cools. In a measuring cup combine the warm water and active dry yeast. Let sit for 10 minutes. After 10 minutes, if mixture is not foamy, discard and start again with new yeast. In the bowl of an electric mixer fitted with a bread hook, combine the milk mixture, yeast mixture, eggs, salt and 3 cups all purpose flour and mix until smooth. Add the remaining flour, ½ cup at a time, until the dough begins to pull away from the sides of the mixing bowl and is smooth and not too sticky. Remove the dough from the bowl and knead by hand on a floured surface for about 5 minutes. Grease a large bowl with a little butter and place the dough in it. Cover lightly with plastic wrap and then a cloth towel and let rise until double in size, about 1 hour. Line a baking sheet with parchment paper and preheat the oven to 350 degrees. Turn out the dough on a lightly floured surface and punch it down. Cut the dough into 2-ounce pieces (about the size of a golf ball) and roll them into balls. Place the dough balls so that they touch one another on the parchment lined baking sheet. Cover loosely with plastic wrap and let rise for 1 hour. Bake for about 20 minutes until golden brown. Brush with the three tablespoons melted butter and then set aside to cool. Serve immediately or wrap cooled rolls in foil and place in a plastic freezer bag. Freeze for up to 3 months. To reheat, remove the foil-wrapped rolls from the bag and place them, still wrapped in foil, in a 350 degree oven for about 15 minutes.